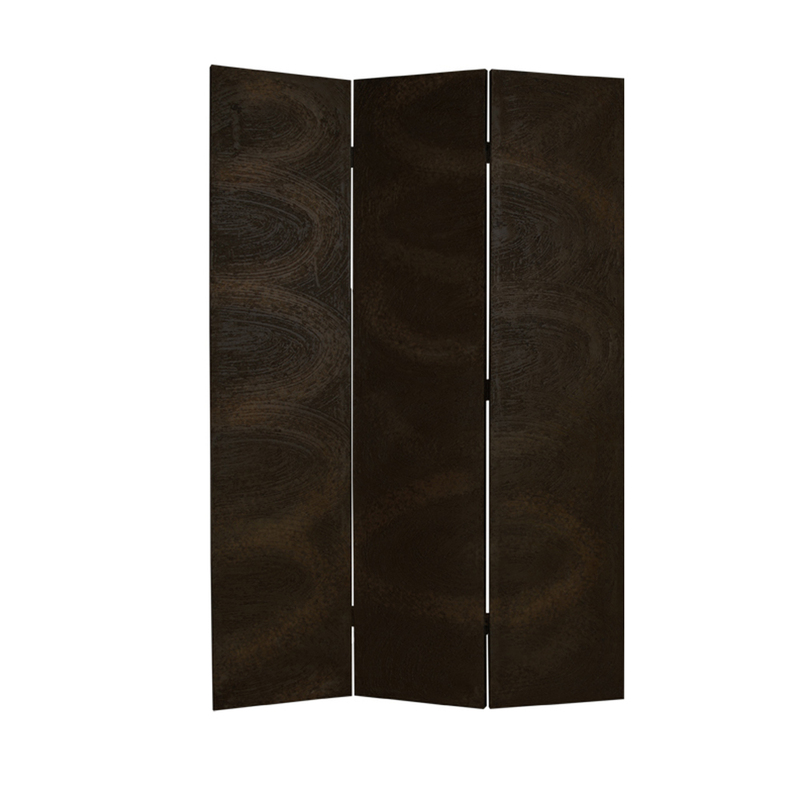 The Barreta Screen is a three panel screen on canvas. The pattern is on both sides of the screen. 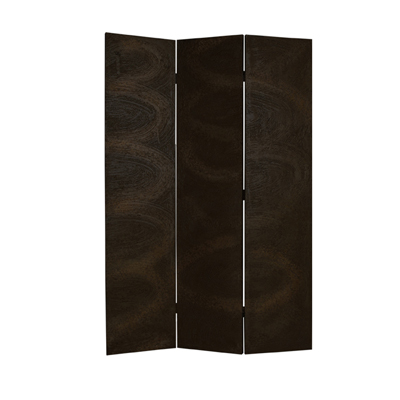 A unique finish of black and gold colored sand bonded to canvas with artistic swirls blended into each panel.